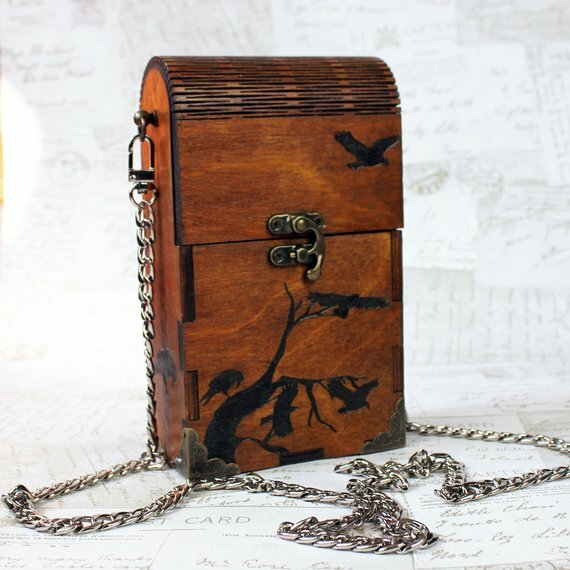 This is a wooden purse with a crow design and innovative living hinge. 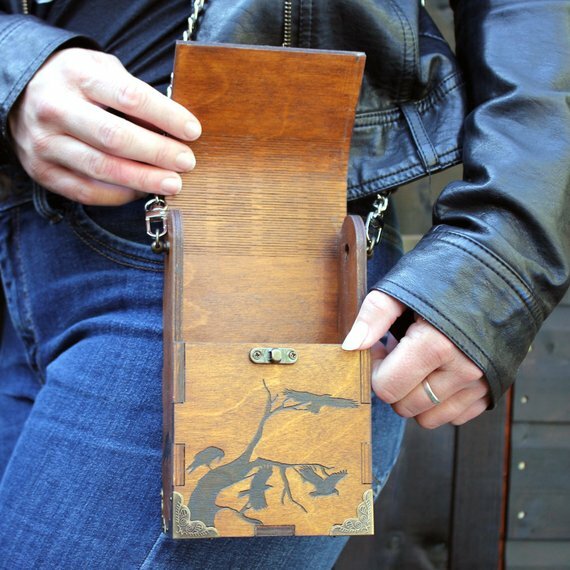 A striking and unusual wooden box bag made using a living hinge. 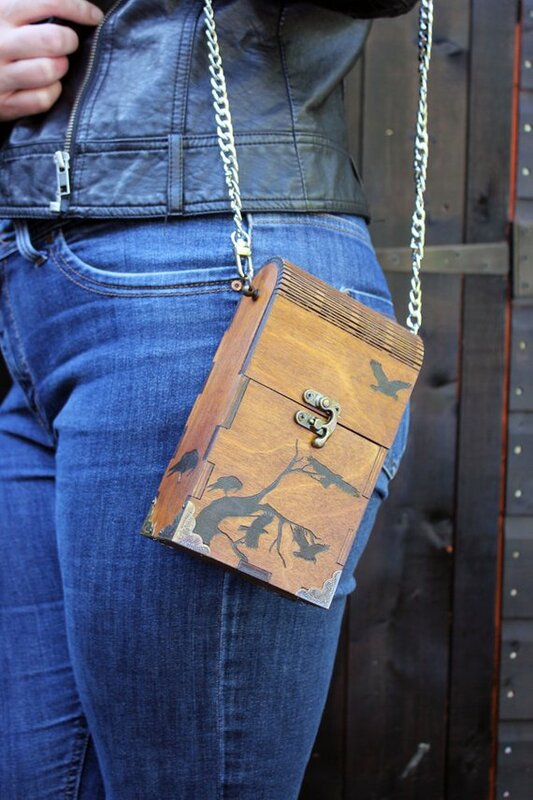 The perfect size to hold your phone, keys, hip-flask and anything else you might need on a night out! 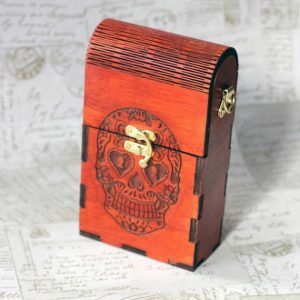 Perfect practicality with gothic style. 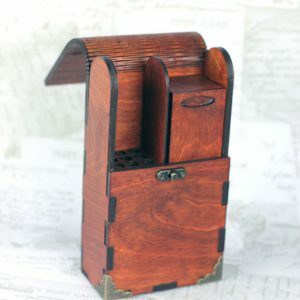 The bag is made from birch and stained to a walnut colour. The bag is vegan, including the stain, fittings and glue. 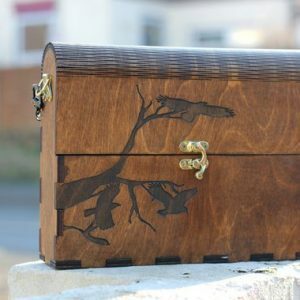 The bag is made from birch and stained to a walnut colour. The bag is vegan, including the stain, fittings and glue. 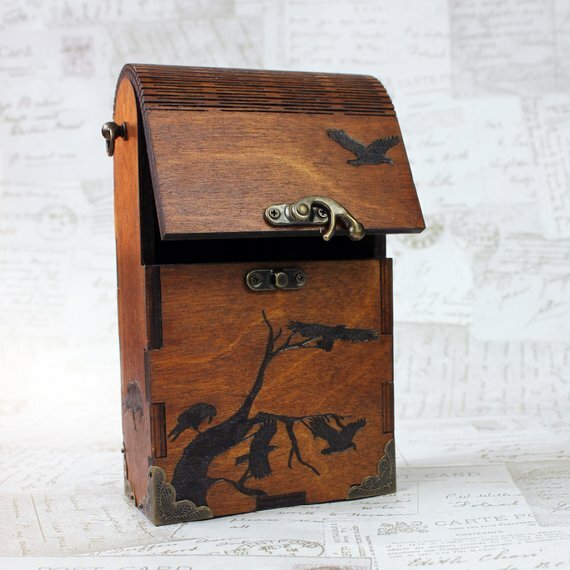 The top flap is laser cut to create a ‘living hinge’ out of the wood which then fastens with an antique tone clasp to keep your belongings secure. 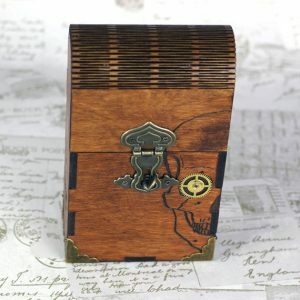 The bag is 5cm deep, 19cm tall and 11cm wide, 2″x 7″ x 4.5″. The chain is silver coloured. If you would like a different design on your bag then please get in touch. The original design of the bag is from an Obrary creative commons license, I have modified the dimensions and design.